Francisco Fernando von Habsburg was born circa 1634. She was the daughter of Felipe IV von Habsburg, Rey de España and Elisabeth Isabel de Bourbon, Princesse de France. She died circa 1634. Anna Antonia von Habsburg was born in 1636. She was the daughter of Felipe IV von Habsburg, Rey de España and Elisabeth Isabel de Bourbon, Princesse de France. She died in 1636. Maria von Habsburg was born in 1655. She was the daughter of Felipe IV von Habsburg, Rey de España and Maria Anne Erzherzogin von Österreich. She died in 1655. Maria Calderona (?) and Felipe IV von Habsburg, Rey de España were associated circa 1628. 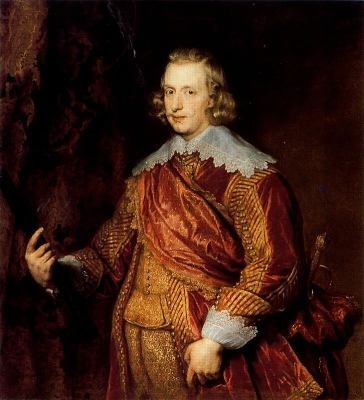 Don Juan von Habsburg was born in 1629. He was the son of Felipe IV von Habsburg, Rey de España and Maria Calderona (?). He died in 1679. He held the office of Cardinal.2 He gained the title of Stadtholder of the United Provinces of the Netherlands. Alfonso von Habsburg was born in 1611. He was the son of Felipe III von Habsburg, Rey de España and Margarete Erzherzogin von Österreich. He died in 1612.